This letter was written by Warren Laughlin (1846-18XX) on the eve of the Tullahoma Campaign during which union general William Rosecrans (“Old Rosey”), in command of the Union Army of the Cumberland, outmaneuvered the Confederate Army of Tennessee commanded by General Braxton Bragg. 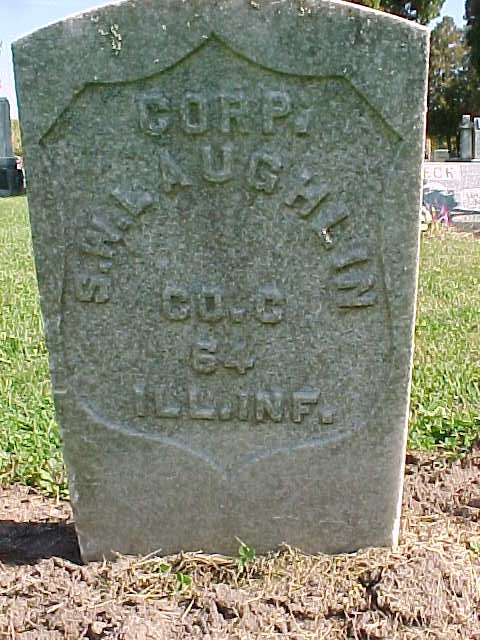 Warren Laughlin was the son of Thomas Williamson Laughlin (1813-1860) and Mary Bailey (1817-1896) of Vermilion, LaSalle County, Illinois. Warren wrote the letter to his older brother, Sylvester Watson Laughlin (1842-1932), who did not enlist in Co. C, 64th Illinois, 1st Battalion, Yates Sharp Shooters until March 1864. 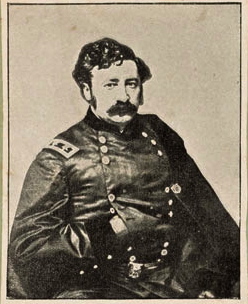 Warren served in the 104th Illinois Regiment. He died at Chattanooga on September 29, 1863 of wounds that he received in the Battle of Chickamauga where his older brother Lemuel B. Laughlin was killed. I have sat down for the purpose of writing you a few lines. We started from Nashville yesterday morning on the cars. We got here in the afternoon at two o’clock. We pitched our camp in a open field. We have got a very good camp. We are in the First Brigade and the Second Division. It is the o__ brigade in the army. I am well and weigh 155. I have gained five pounds since I started from home. Colonel Bates is our Commander and General [James Scott] Negley is our Division General. We are out in the front. We are two miles east of the town. I tell you that Old Rosey [Rosecrans] has got men enough to whip the whole South. I am going over to Hotten [Holten?] Battery this week some time. We moved on Sunday the same as Yansal. The boys are not all here. They was left to guard the wagon though they will get here today. Well Sylvester, how do you get along plowing. Even our quartermaster was drunk yesterday as Yansal. We have dog tents but they are better for summer than the big ones for we don’t have them to carry as our knapsacks. I think we will stay here some time for we can’t go ___ till we will have to fight. Our captain stayed at Nashville. He got his papers yesterday. He is going to start home tomorrow. I hain’t got much news to write this time. They put two days out in the past week that is in the artillery. Well now, if you can read this, you can do more than I can for I am a scribbling it off. I hope that Old Rosey will pitch in and end this war for there is a mess of men killed now. I wish you could see this field here in front of the town. I tell you it looks awful. The Sharp Shooter Regiment is here and I am going over to see for George and I will write and tell you how he gets along. They are out in front and when they come back, I will go over and see them. Well, I must not write much more now. I have got to go and help dig a sink to throw our slop in. I got three dollars worth of papers and fetched down with me. I have sold it all. I made two dollars on it. I want you to write soon and tell me all the news. I hope that he E.B. are all right. If they ain’t, will make them all right when I write to them. You must look out and put in while the boys are gone for when they ever get back, you can’t shine. I ain’t going to write any more this time so goodbye.